Summer Hours: 7 a.m. to 6 p.m.
Winter Hours: 7 a.m. to 5 p.m. Individual: $75 per month/walking or $140/unlimited cart usage. Family: $90 per month/walking or $190/unlimited cart usage. Junior: $25 per month/walking for youth through high school. Family: $140 per month/ walking or $210/unlimited cart usage. 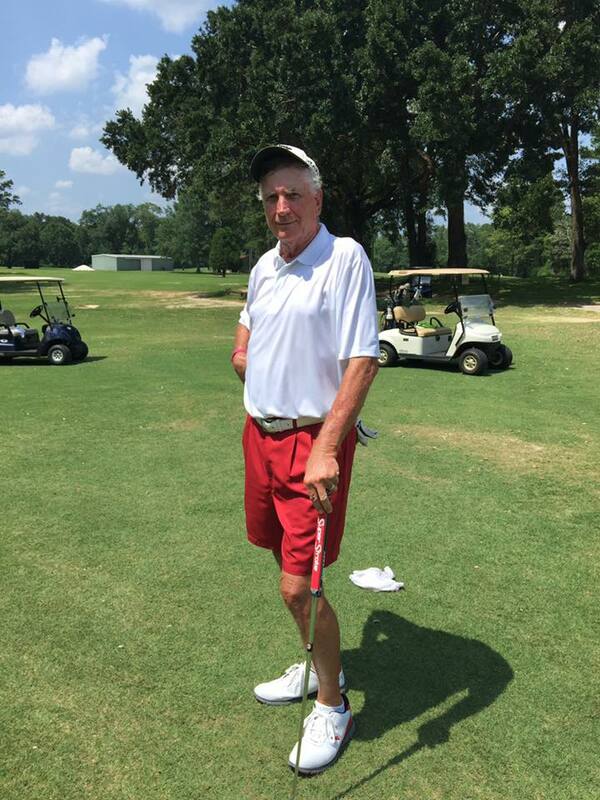 Holly Hills Municipal Golf Course is just seven miles south of Bay Minette on Alabama 59/US 31. It is located an hour north of Gulf Shores and 45-minute drive from Mobile. The 9-hole, 3,282 yard golf course was designed by architect and engineer Earl Stone and includes a driving range. The regulation course is a par 72 and is perfect for those looking for fewer hazards and less crowded fairways. The scenic course is lined with oak trees, pine trees, magnolia trees and holly bushes. Golfers of all levels will enjoy this beautiful course. The Clubhouse features a bar and snack bar area and a small golf shop featuring Taylormade products. The 4,000 square foot building was designed by Marshall Fischrupp. The ballroom is spacious and includes a dance floor. 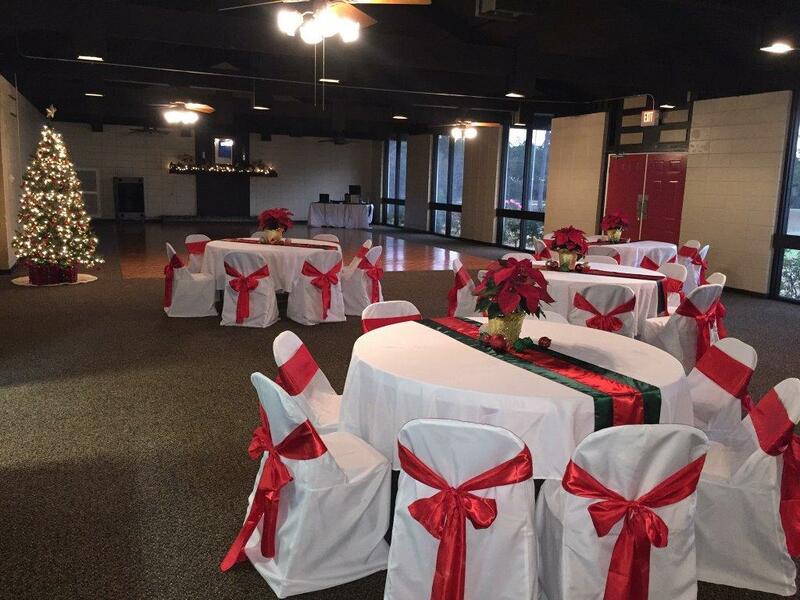 The facility is available for party rentals by contacting the Country Club at 251-580-2553. For more information on club membership or daily rates, call 251-580-2553. To read the March 2019 newsletter, click here. A Summer Youth Golf Camp will be offered again this summer at Holly Hills Municipal Golf Course. The camp will be under the direction of Golf Pro Mikki Bjuro. Four sessions are planned and will be filled on a first-come, first-served basis. Beginner Sessions will be held June 5-7 and June 19-21. Intermediate Sessions will be held June 12-14 and June 26-28. Classes will meet 8 to 10 a.m. Wednesday, Thursday and Friday. The cost is $100 per session. Private lessons are also available. To book a spot, call Holly Hills clubhouse at 580-2553.
to Jack Robertson with 154 and John Hartner, third place, with 156. 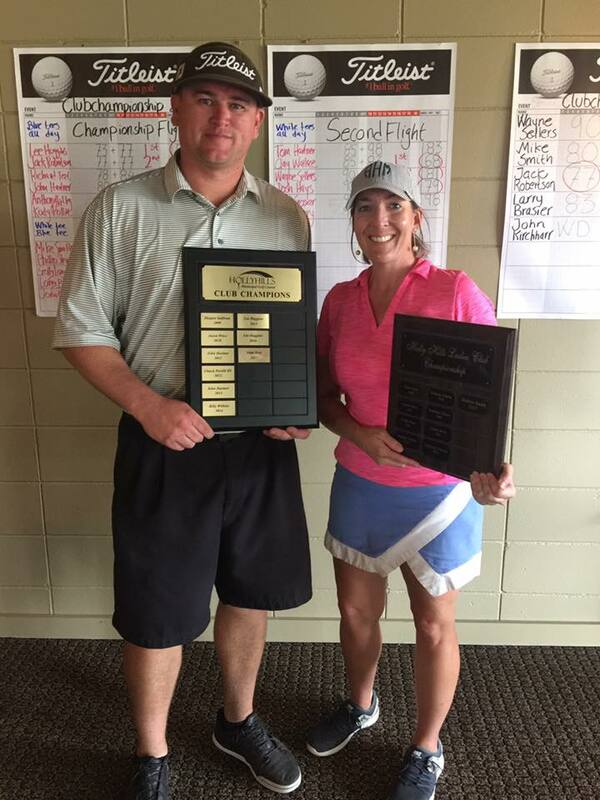 The First Flight winners included: Phillip Stewart, first place, 157; Mike Smith, second, 160; and Larry Brasier, third place., 164. The new Women’s Club Champion is Amanda Hall who shot 181. Stephanie Brooks finished in second with 183. Jack Robertson won the Senior Championship. For more information about taking part in the annual Club Championship tournaments, call the clubhouse or check the bulletin board area in the banquet hall. The 4,000 square foot Clubhouse was designed by Marshall Fischrupp. The ballroom is spacious and includes a dance floor. The facility is available for party rentals, class reunions, baby showers and many other venues. Banquet Room Rental Rate is $150 per hour*. Linens are available for rental for a flat fee of $150. Linens include tableclothes, chair covers, sashes and tablerunners. There is a $150 deposit require to secure the date. For more information on rental rates, or to check availability, contact the Clubhouse at 251-580-2553. The Clubhouse features a bar and snack bar area, with full beverage and food service. The Clubhouse also has a small golf shop featuring Taylormade products.